The Ravera vineyard is located on the eastern slope of the township of Novello, and is the zone’s most prestigious cru. Cerviano – Merli is also located in the eastern slope of the township of Novello, and represents the zone’s central section, halfway between Ravera and Sottocastello. Sant’Agata Fossil Marl, deposited by the open sea and representative of the long intervals of gentle depositing. This marl is formed by the accumulation of mud and silt on the sea floor, which was shallower compared to the Lequio Formation because during this period, the Tertiary Basin began to rise in elevation. The presence of clay on the sea floor testifies to relatively quiet conditions, as the light and miniscule particles of clay need very still water to accumulate. Sant’Agata Fossil Marl is the most common formation in the zone of Barolo, and within it contains much variation. Here it is found in its most typical form, bluish marl in thick layers with sporadic, thin layers of sand. Analyses show loam-clay terrain, with a low percentage of sand and high content of limestone. The granulometric index (ratio of sand:loam+clay) indicates a soil structure created from very fine roots. 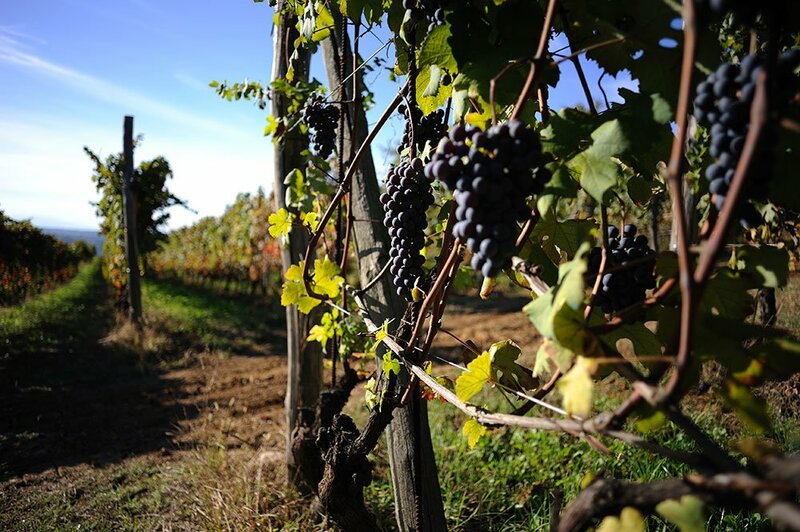 The terrain is light in color, which gives wines made from nebbiolo cultivated in its soil power, fruitiness, harmony, elegance, and great longevity.